Is a wheelchair your reality or part of your future? As an MSer, this mobility aid is certainly a possibility, if not something you own and use already. When Cir first received his diagnosis of MS, it was the furthest thing from his mind. He wasn't even using a cane, for that matter. When I first learned that Cir had multiple sclerosis, I didn't really know anything about it. I had never heard of anyone who had the disease. I didn't know that it could result in disability to the point of being in a wheelchair. When I began researching it, finding out about the different types, and realizing that it could possibly leave Cir with mobility problems and more, reality began to set in. One of the first books I read was about a woman who had no use of her legs at all. The more personal accounts I read, the more I began to fear what could be in store for us. We were in our early 30's and Cir was still working. We had dreams of saving to buy a home. We had dreams of traveling around the country and overseas. I think I cried my tears over what could happen and then we got down to business living. Cir had already started taking supplements that would help keep his nervous system stay healthy. He continued to exercise and do martial arts. Eventually the balance problems and weakness on one side began limiting his mobility. Those two issues resulted in him using a cane at work. And after several falls and other issues, he went from full to part time and eventually stopped working. He ended up using both a regular walker and a rollator, besides his cane. His GP suggested he go to the Oak Clinic, a specialty clinic especially for people with multiple sclerosis. They had onsite physical and occupational therapists, who watched him walk and made suggestions. One of the suggestions was how to use a cane better. They also taught him how to use the walker and rollator correctly and safely. 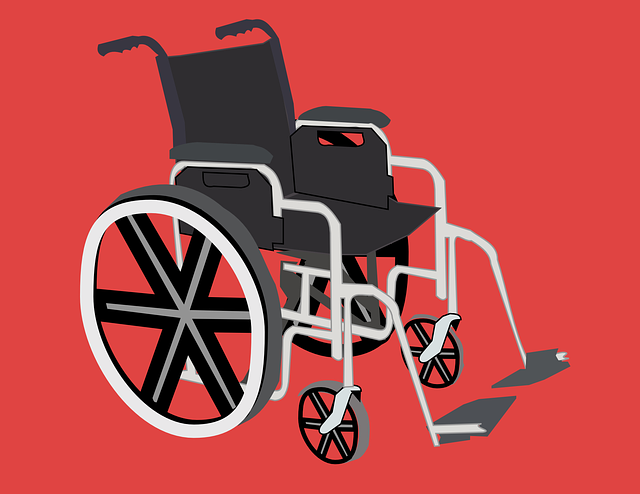 Another suggestion, was to get a manual wheelchair for those times when he had to walk long distances. The chair would give him the opportunity to get out more. It would give him back some of his independence. The manual chair was an MS Loan Closet item, however, he still has that chair and uses it when we aren't sure where we're going. If we go somewhere new, we take the chair just in case the distance is too long for him to walk. Most places have an accessible entrance and elevators, so we're usually good once we get there. Sometimes he'll take both the rollator and the chair in case we find that the distance is not to long. At first, he was reluctant to use any mobility aid. When he finally realized that it was the only way to get around safely, he accepted the fact that he needed them. Now, we access the places we're going before we leave the house and decide which mobility aid will work the best. How do you know when you need a chair? When is it time? How can you afford one? Cir got his chair at the suggestion of his physical therapist. And as a member of the National MS Society (NMSS), he was put in contact with the MS Loan Closet. They will lend you durable medical equipment, like scooters, chairs, walkers, shower chairs, and other things you might need. The idea is to loan you the items until you no longer need them. Then, depending on the item, you can return them afterward for someone else to use. Some things, like shower chairs, can't be returned, however, wheelchairs can be. Do you have trouble walking long distances? Do you want to conserve your energy when you go out? Do you have bouts of fatigue when you are out? Do you have weakness in your legs or arms that doesn't go away? If you answered yes to any of the above questions, then maybe you can get a wheelchair to use on an as needed basis. Because Cir has a manual chair, a power chair, and a rollator, as well as several canes, he is able to use each depending on what he's doing at the time. Sometimes his arms or legs are too weak to walk with his rollator, so I'll push him in his manual chair. Think about your symptoms. If you would benefit from having one at certain times, talk to your doctor about prescribing one. If you can get one through the MS Loan Closet, all the better. 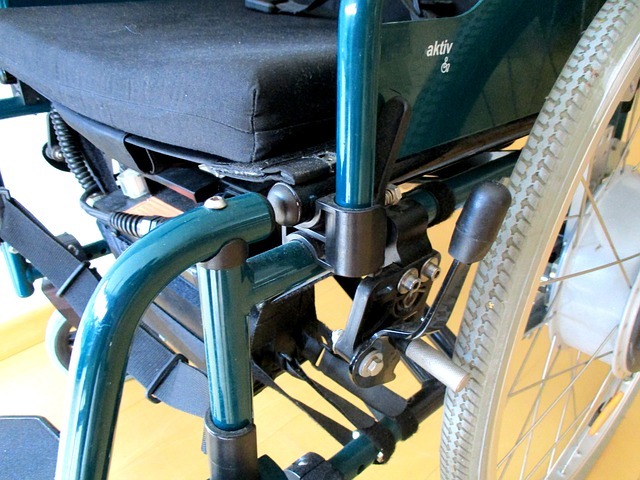 You can use your insurance for a power chair or skooter, should the need arise. Cir felt like he couldn't use a cane until he started falling. That kind of convinced him. It's easy to say you won't use a mobility aid when you are able to walk. You can get around by walking slowly and carefully. If you are off balance, however, you can still fall. If you step on a crack or uneven place, you can easily lose your footing. 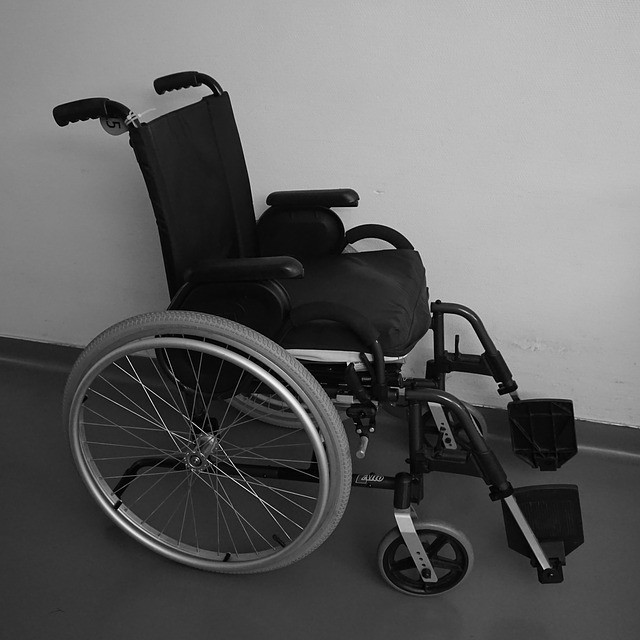 You can go as long as you like before getting a mobility aid, however, you must realize that your safety is at stake. Sometimes people looking on will think that you are intoxicated if they see you wobbling as you walk. You may stay upright, barely, but at what price? Would you rather feel safe as you move from place to place? There's no need to feel awkward using a chair, walker, or cane. You can make them look better by adding stickers, duct tape stripes, or something like that to dress them up a bit. That might make you feel better and take away that "old" feeling. There are several types of chairs available. They're used for different purposes. As a person with MS, you will need an ultra light, light, transport, or standard, chair for the first one. If you progress, or as your MS gets worse and you have more trouble walking on your own, then you may need a tilting chair or something like that. Whatever suits your needs. I think it's better to have a variety of mobility aids. Even more than one of each would work, if you can afford it. If not, check out the MS Loan Closet. They are more than willing to help out in any way they can.